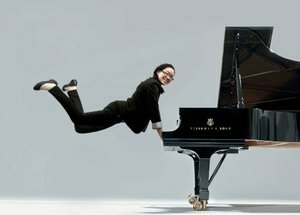 Soprano Emily Cheung (BMus’06) was recently featured in television ads for Volvo’s 2019 SUV campaign. Tina Wang (BMus’15) received a Teacher of Distinction award from the Royal Conservatory of Music, in recognition of her work training young saxophonists. She teaches at the Vancouver Academy of Music and co-directs a saxophone ensemble with fellow alumnus Michael Morimoto (MMus’14), in addition to running her own teaching studio. Stefan Sunandan Honisch (MMus’07, MMus’08, PhD’16) recently published a book chapter, "Virtuosities of Deafness and Blindness: Musical Performance and the Prized Body," in the Oxford Handbook of Music and the Body, edited by S. Gilman and Y. Kim. He also joined the board of the Canadian Centre on Disability Studies. This November, Carter Johnson (BMus’18) won the grand prize in the 2018 Orchestre Symphonique de Montreal (OSM) Manulife Piano Competition, with his outstanding performance of Prokofiev's Concerto No. 3 in C major, Op. 26. The prize includes a $10,000 scholarship, a performance with the OSM in January 2019, a professional broadcast on Radio-Canada’s ICI Musique, and other performing opportunities. Carter also won first prize in the Canadian Music Centre’s Stepping Stone National Competition in Montreal. Also at the OSM Manulife Piano Competition, alumna Nicole Linaksita (BSc/BMus’16) won the Orford Music Prize, a scholarship covering accommodation and tuition for an advanced program at Orford Music in 2019. Her other prizes this year include the Tom Cuff Award for Best Performance of a Canadian Work; the Linda Stobbe Memorial Award as the winner of the National Piano Class; and the Marilyn Wiwcharuk Memorial Scholarship for the Outstanding Performance at the Vancouver Kiwanis Festival. She also won first prize in the Senior Category at the Vancouver Metropolitan Orchestra’s Clef Concerto Competition and will be playing with the VMO next season; and placed sixth at the Shean Piano Competition. Harpist Samantha Ballard (BMus’15) advanced to the semifinals of the 2018 OSM Manulife Harp Competition. Daniel Marshall (MMus’13) is the new Director of Programs & Communications at the Vancouver Academy of Music. Antares Boyle (PhD’18) was awarded the prestigious 2018 SMT-40 Dissertation Fellowship from the Society for Music Theory. Her dissertation project, “Formation and Process in Repetitive Post-Tonal Music,” theorizes how musical segments, processes, and larger forms arise in recent post-tonal works that feature extensive varied repetition. Dr. Boyle completed her dissertation in August and is now teaching at the University of Northern Colorado. Tuba player and Canadian Army reservist Tony Taylor (MMus’18) performed this summer in the Changing of the Guard ceremony at Buckingham Palace in London, and with the Ceremonial Guard in Ottawa. 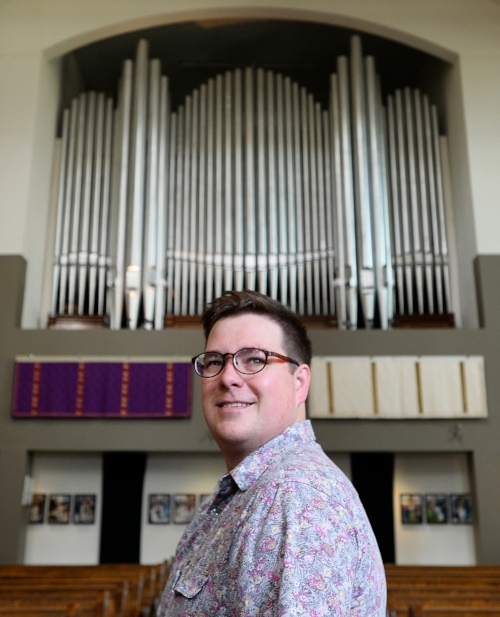 Brian Garbet (MMus’13) is working toward a PhD in Composition at the University of Calgary. His dissertation project combines ambient sounds such as the “hum of Windsor” — a mysterious acoustic phenomenon — with the clarinet music of François Houle. In June, composer Chris Sivak (BMus’09) premiered “Patrick Stewart Bakes a Cake,” a new music video for his string quartet. Woodwind quintet Fifth Wind — which features flutist Jack Chen (BMus’03) and clarinetist Eileen Walsh (BMus’03) — took part in Our Canada: Forecasting Canadian Wind, a national and international showcase of Canadian composers and wind quintet musicians. The concert series, took place in five cities in September, celebrates the diversity of Canada’s land, people, and cultures. Cris Derksen (BMus’07) and Cameron Wilson (BMus’88) were among the featured composers. UBC School of Music hosted the Vancouver performance in September, featuring Ventos Wind Quintet. Members include Jeff Pelletier (DMPS’10), flute; Morgan Zentner (MMus’07), oboe; Mike Brown (BMus’01), clarinet; Nick Anderson (BMus’07, MMus’09), horn. Michael Juk (BMus’84) recently joined Hot Air, CBC radio’s long-running weekly jazz program, as the producer. Bassist and composer Frederick Schipizky (BMus’74) was commissioned by the Pacific Wildlife Foundation to create Gathering Flock, a new composition for brass. The Vancouver Symphony Orchestra brass quintet performed the piece to open the 2018 Vancouver International Bird Festival and the 27th International Ornithological Congress held in Vancouver, B.C. this past August. Conductor Al Cannon (DMA’12) recently accepted the position of Assistant Conductor with the Kitchener-Waterloo Symphony Orchestra on a three-year contract. 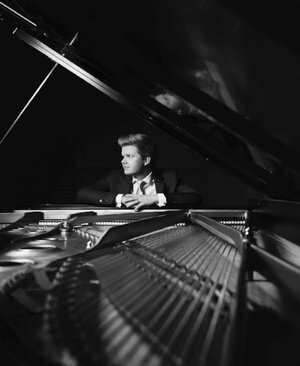 In June, pianist Bogdan Dulu (DMA’15) appeared on short notice as concerto soloist with the Vancouver Symphony Orchestra for the premiere of Bramwell Tovey’s (LLD’12, honoris causa) new work, Shalimar Variations for Piano and Orchestra. In August, composer Michael Park (DMA’15) staged a wildly creative concert fundraiser for the Holy Trinity Anglican Church in Vancouver. With the help of organ builder David Quinton, he combined a bouncy castle with organ parts to create a one-of-a-kind instrument that makes music as kids jump inside it. It’s also, Park notes, a “proof of concept” for further musical experiments. In August, Michael also performed a one-man recital of music for speaking pianist, narrating stories about love, death and everything in between at the historic Roedde House Museum in Vancouver’s West End. Alan Corbishley (BMus’98) directed a new production of Side by Side by Sondheim, the Tony Award-winning musical about Stephen Sondheim, at theatres in Vancouver, Kamloops, and Sidney, B.C. The Vancouver Metropolitan Orchestra launched its 2018-19 season with a performance of Tchaikovsky’s Symphony No. 5 and Piano Concerto No. 1 that involved three School of Music alumni, including pianist Libby Yu (BMus’96, MMus’98, DMA’10), artistic director and conductor Kenneth Hsieh (BMus’03), and assistant conductor Kemuel Wong (BMus’08, MMus’10), who gave the pre-concert talk. Premiering alongside the Tchaikovsky pieces was a new work by VMO composer-in-residence and former student Trevor Hoffmann. This past spring, Simone Osborne (DMPS'09) released her debut album, Simone Osborne: Live in Concert with Anne Larlee, and was nominated for the 2018 Dora Mavor Moore Award for Outstanding Performance – Female (Opera Division) for her role as Adina in The Elixir of Love with the Canadian Opera Company. Marco Del Rio (BMus’14, B.Ed’15) is the composer-in-residence of the Laudate Singers. For the Singers’ recent Celtic Spirit concert he created new arrangements and works for the choir to sing with the North Shore Celtic Ensemble. Based in North Vancouver, the Laudate Singers were founded by Lars Kaario (BMus’79). Lars is Artistic Director of the choir and is Director of Choral Studies in the Diploma of Music Program at Capilano University where he directs the Capilano University Singers and Capilano University Festival Chorus. He is also the head instructor in the university’s Conducting Certificate Program. 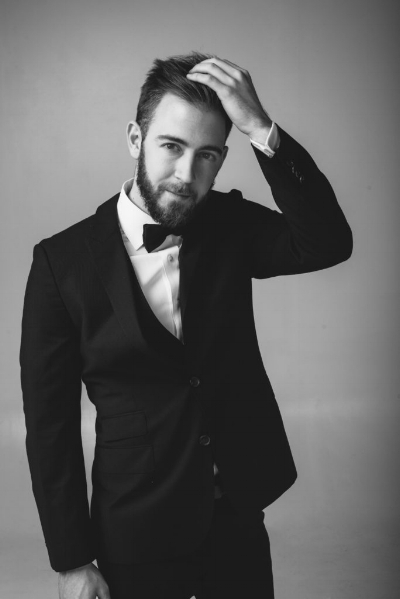 Baritone Sheldon Baxter (BMus’14, MMus’15) recently performed Trouble in Tahiti and Cabaret with the Kammer Theatre of the Semper Opera. He made his mainstage debut at the Semper Opera in Dresden, Germany in August. In June, Roydon Tse (BMus’13) won the the Lieutenant Governor of Alberta’s Emerging Artist Award. This is a prestigious prize worth $10,000 and is awarded every two years to emerging artists of all disciplines from Alberta. Below are some links and a video made to accompany the award citation. In May, Alfredo Santa Ana (MMus’05, DMA’10) premiered three works for string quartet and voice at the Vancouver East Cultural Centre. Soprano Eva Tavares (BMus’14) sang the role of Christine in The Phantom of the Opera in a North American tour of the musical this year. Bass-baritone Scott Brooks (BMus’08, MMus’17), baritone Max van Wyck (BMus’11, DMPS’13) and tenor Spencer Britten (BMus’15, MMus’17) are currently performing with Opera Atelier. This summer, Nat Jay (Minor’04) taught as a sessional instructor in the Digital Music Program at Langara College. This past spring, Clara Shandler (BMus’12), also known as The Sidewalk Cellist, staged performances on Burnaby Mountain, at MP offices in Vancouver, and at UBC in support of the protests against the Kinder Morgan Pipeline project. In May, the Winnipeg Symphony Orchestra performed The Promised Hand, an exciting new work by composer Iman Habibi (BMus’08, MMus’10). In October, Jordan Back (BMus’07) won a seat on the District of North Vancouver council. A former voice student, he also sings with the Vancouver choir Chor Leoni. Former opera student Matthew Mori is now an otolaryngologist and assistant professor at the Icahn School of Medicine at Mount Sinai Hospital in New York. His brother, Michael Mori (BMus’04, MMus’06), is the Artistic Director of Tapestry Opera, which won the 2017 Dora Mavor Moore Award for Outstanding Production in the Opera Division for Rocking Horse Winner, with Michael receiving an award for outstanding direction.